Asia Insurance Review was launched in January 1991 to meet the information needs of insurance practitioners in Asia in particular and the rest of the world in general. It quickly became the premier and comprehensive professional regional magazine, read by all the key decision makers and readers in the insurance industry in Asia from Australia, Bangladesh, Brunei, Cambodia, China, Fiji, Hong Kong, India, Indonesia, Japan, Korea, Macau, Malaysia, Myanmar, Nepal, New Zealand, Pakistan, Papua New Guinea, the Philippines, Singapore, Sri Lanka, Taiwan, Thailand, Vietnam, etc. As part of our growth process, and in response to the demands of readers, we went into organising insurance-related conferences to provide a forum for the exchange of ideas and to facilitate the transfer of knowledge and expertise to the region. Very quickly Asia Insurance Review's technical conferences became an integral service to Asia's insurance industry. 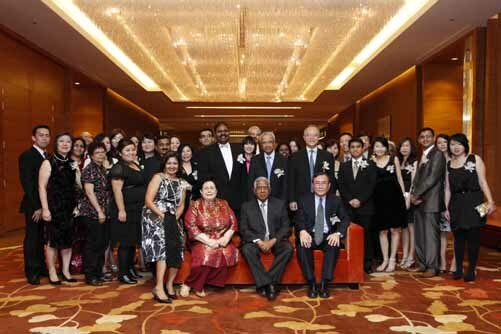 We launched the Asia Insurance Industry Awards to recognise and salute excellence in the insurance industry since 1997. We also launched the Australia and New Zealand Insurance Industry Awards in 2004. These are our conscious attempts to promote the industry's move towards higher standards and greater professionalism. We publish four comprehensive insurance directories - Insurance Directory of Asia, Reinsurance Directory of Asia, Global Takaful Directory, and the MENA Insurance Directory - which serve as reference for the industry to stay in touch. Supported by an editorial board consisting of leading personalities in each Asian market, we are the region's foremost comprehensive professional regional journal serving the information needs of insurance practitioners. We cover not just the news within the insurance sector but zero in on the people and issues of vital importance to the development of the region's insurance industry. We keep practitioners informed of the latest technical developments in the industry. We have a worldwide circulation to 7,788 subscribers including insurers, reinsurers, risk managers, brokers, loss adjusters, financial experts, ship owners and companies listed in the stock markets in the region. We are the official journal of three major international insurance conferences held regularly in Asia - the East Asian Insurance Congress, Asean Insurance Congress and the Singapore International Reinsurance Conference. We are also a Permanent Observer of the Asean Insurance Council. Asia Insurance Review is quoted as the authoritative source on developments and trends in Asia in the United Nations' insurance documents as well as in publications by international bodies. Asia Insurance Review bridges the information gap and provides essential updates on new insurance companies and various products and how they can better serve and service their clients. Asia Insurance Review empowers them with the knowledge of current trends and developments, provides tips on new business potential, as well as gives them insights on how to cover risks profitably, while sharpening their competitive edge. Asia Insurance Review gives them the most cost effective way to plan and manage insurance needs to achieve maximum returns on costs and the greatest security possible. Asia Insurance Review equips them with detailed and up-to-date information necessary for the procurement of the latest insurance products for their clients. It also highlights the challenges faced by the industry and the strive for potential solutions.